Boyds, Md. 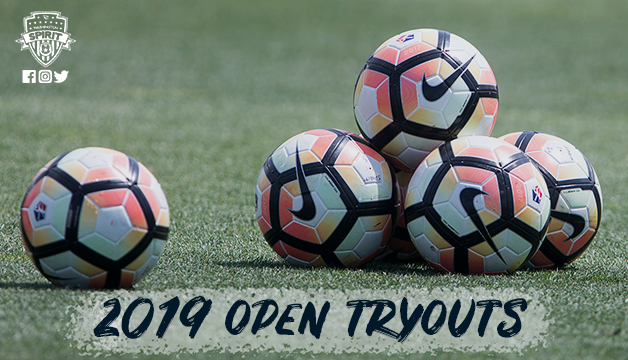 (January 9, 2019) – The Washington Spirit will hold open tryouts in preparation for the 2019 NWSL professional team from February 21-22, 2019 at the Maryland SoccerPlex. Registration is currently open. The tryouts are open to players 18 years of age and older with previous college or professional experience. Athletes can register up to February 19, 5:00 pm. The registration fee for the open try-out is $100 and is non-refundable. REMINDER: To participate in the NWSL, you must have either: forgone or exhausted your college eligibility or will graduate in the 2018-2019 year. If you are graduating from college in the 2018-2019 year, you must have also registered for the College Draft. NWSL Draft Registration Link. To learn more about the NWSL draft you can click here to read more. To complete registration, please have the following documents ready to upload during the registration process. Registration will take place at 10:00 am both days and sessions will be held outdoors on turf with an indoor contingency due to weather.